You’ve made it past prescreenings, essays, application fees, the Common App all while plowing through another semester of school, perhaps. And if the mere idea of college hasn’t made you feel sick yet, well, now it’s audition time. Here’s where your months of practicing and planning and stress-crying are going to be put to the test. So where to begin? Transportation: How are you getting to your audition? Are you driving? Flying? (Have you bought your tickets?) Is somebody taking you or coming with you? Can you miss classes or work? If you’re staying for more than one day, do you have a place to stay? Is it close to the audition site? Do you know where the audition site is? Repertoire: Now is a good time to make sure you’ve actually been preparing the correct works for the audition. You’re not going to want to realize that you’ve been playing the Bach E Major sonata instead of the E-Flat Major sonata the day before you perform it (I may have learned this the hard way…). Are you crazy like me? 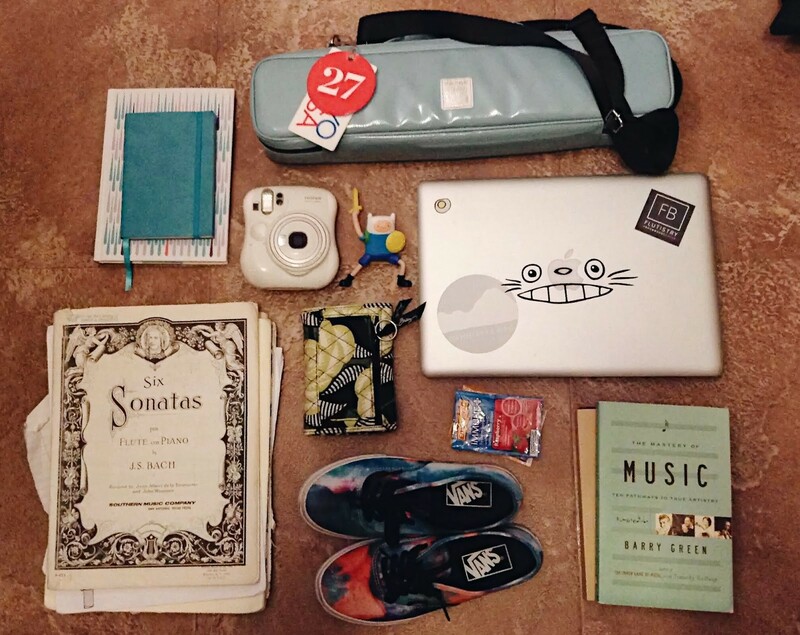 Packing does two things: it helps you make sure you have everything you need and it makes for a fun flatlay. Packing: Before you leave home or arrive to your audition, double- and triple-check that you have everything that you need with you, whether it’s music, rosin, pointe shoes, notes, snacks (very important), water, your phone charger, some form of identification (sometimes just a school ID won’t suffice, especially when flying), and maybe a backup plan or two in case something goes wrong. You might have to run to a CVS for a ChapStick right before your audition, but don’t sweat it! What time is your audition? Make sure to allow yourself ample time to get there (early! ), but don’t be surprised if auditions are running late. If you need to eat before performing, make sure you can do so as well. Treat this like any other performance—if you think it’s unwise to try anything new, don’t. And don’t forget an audition outfit! Don’t stress too much about it — as if you don’t have enough to think about! — but choose something that looks professional, makes you feel confident, and will enable you to perform comfortably. And don’t forget to say hi to old friends—and make new ones! Are you overwhelmed yet? After all this preparation, don’t give up! There’s a lot to remember during this busy time, and we as performing artists have it trickier than most when it comes to applying to schools. This post is just meant to help you organize your plans if it helps you to feel prepared for your audition. Once you’ve navigated the hurdles of wintertime travel, pre-audition hunger (or lack of appetite), and finding your way to the proper floor in the Juilliard building, everything will fall into place — you’re in your element. You know what you are doing. Your audition is meant to show your enthusiasm and dedication to your art — so even if everything doesn’t go perfectly, remember to enjoy the process! 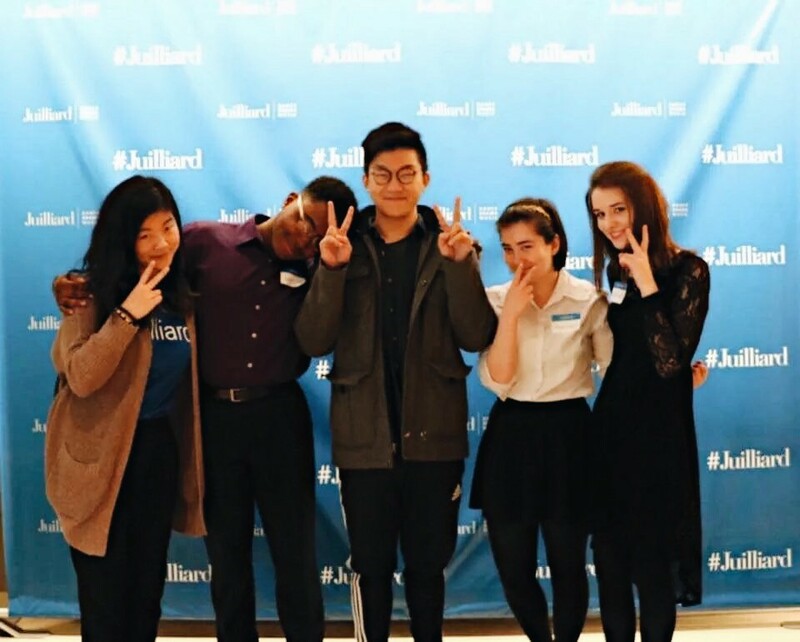 To anyone auditioning at Juilliard in the next few weeks, a very enthusiastic good luck! You will end up wherever you are meant to be, so above all, enjoy this exhilarating and memorable time.